So I finally got the brackets on the 360 and everything fit. 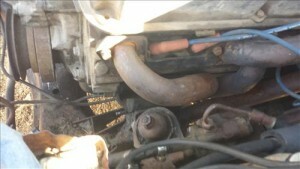 Next I started on the Headers by trying to fit the ones that came out of the truck. I knew they likley wouldn’t work (they didn’t) but I had to try. I stated looking on eBay for some headers which were pricey at around $400-$1000. 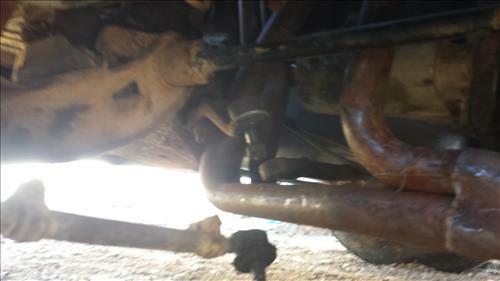 Next I tried Craigslist and found a set of headers that came off a 1970 Dodge Duster. The Charger is a B-body and the Duster A-Body so I was unsure if they would fit. After reading online I found that it would be a toss up if they would work or not. 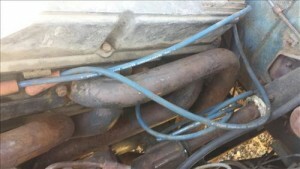 It simply depends on who built the Headers if they would work. The Craigslist seller had a no-return policy but they did look like pictures of 68 Dodge Headers on eBay. After a short debate I decided to get them and got the seller down from $100 to $75. Luckily they worked after a lot of effort I got them in. One of the biggest hurdles was (for these style of Headers) I had to remove the steering bar on the driver side so it could slide through the middle of the Header. I also had to jack the engine up, push it over to one side as far as I could, and than fight to get them in. Mainly the driver side. If I had to do it over I would definitely drop the headers in and tie them to the side before dropping the engine in. 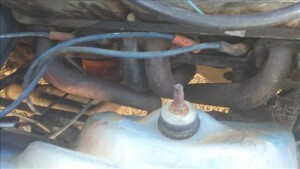 The next thing I looked at was the transmission linkage which looks like it got bent. Will be starting on it next.